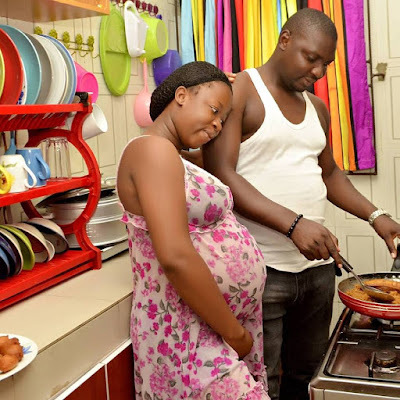 A lovely couple based in Warri, Delta state are currently trending online after showing Nigerian husbands how to take care of their wives during their pregnancy. 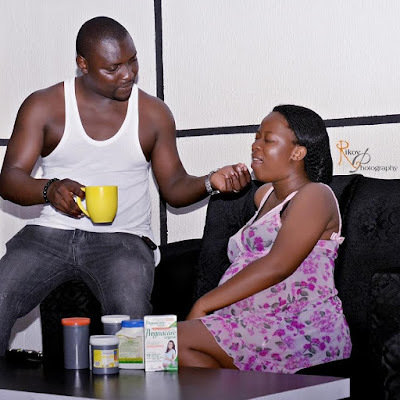 The pictures show how the pregnant wife had issues with fixing meals and taking her antenatal medications. But with her loving and caring husband by her side, all issues were resolved. 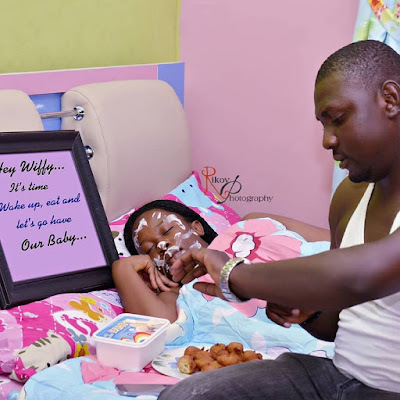 The pictures have been trending online with Nigerian men being urged to emulate the caring husband.